A September 2016 commentary in The New York Times called for a trial of low-carb diets before committing to bariatric surgery. This has an immediate, superficial appeal to those of us committed to lifestyle as medicine. Here’s to remedies in the kitchen, rather than the operating room! Unfortunately, however, this commentary is misleading. There is no basis for a selective argument for low-carb diets; they are just about as apt to work in the short term and fail over time, as any other. While there is quality coverage of diet and health out there, there is much that perpetuates misconceptions and fallacies; it would be impossible to tackle them all here. But this particular New York Times piece is worth exploration and clarification, particularly because of the larger, important conversation it prompts. Garth Davis, MD, is a True Health Initiative Council member and is uniquely qualified to reveal how the authors of this article misrepresented the role of surgery for weight loss, which is quite effective when applied judiciously. He practices medical and surgical weight loss in Houston, where he is the medical director of weight loss surgery at Memorial City Hospital. He is also the author of the books Proteinaholic: Why Our Obsession With Meat Is Killing Us, and An Expert's Guide to Weight Loss Surgery. Dr. Davis looks from altitude and provides a reality check about the dietary patterns most reliably and consistently linked to lasting control of weight and lifelong promotion of health. As a weight loss surgeon and specialist having treated thousands of patients over 15 years, I was taken aback by the recent New York Times opinion piece, "Before You Spend $26,000 on Weight Loss Surgery, Do This." The piece is rife with fallacies I would like to address. First: The authors imply that weight loss surgery is not effective. The efficacy of weight loss surgery has been validated over many years with large studies. While the authors draw attention to several research papers, they all were conducted over short periods of time. Then the authors attempt to compare weight loss surgery to low-carb dieting. Again, they cannot accurately make this comparison. Long-term studies on low-carb diets are lacking because people simply cannot stick with them due to the side effects. Short-term side effects of low-carb diets may include constipation, weakness, dizziness, headaches, confusion, abdominal pain, irritability, nausea, vomiting, depression, cognitive impairment, and muscle cramps. Long-term side effects of low-carb dieting may include high cholesterol, cardiovascular disease, kidney stones, bone loss, erectile dysfunction, malnutrition, and an increased risk of cancer. The authors draw attention to a paper following 10 patients for two weeks. Studies this small, and done for such a short-term, do not give us enough data to make sweeping claims. Having treated people with both low-carb diets and with gastric bypass, the results cannot even be compared. I see 80 percent to 85 percent of my gastric bypass patients off their diabetic medications five years later, which is very rewarding. There are no five-year studies on low-carb diets because most people just cannot last that long on them. Second: The authors seem to assume that patients who see bariatric surgeons have never tried dieting before. In fact, all of our practice’s patients have tried weight loss diets, multiple times. Many have dieted since "fat camps" as children. 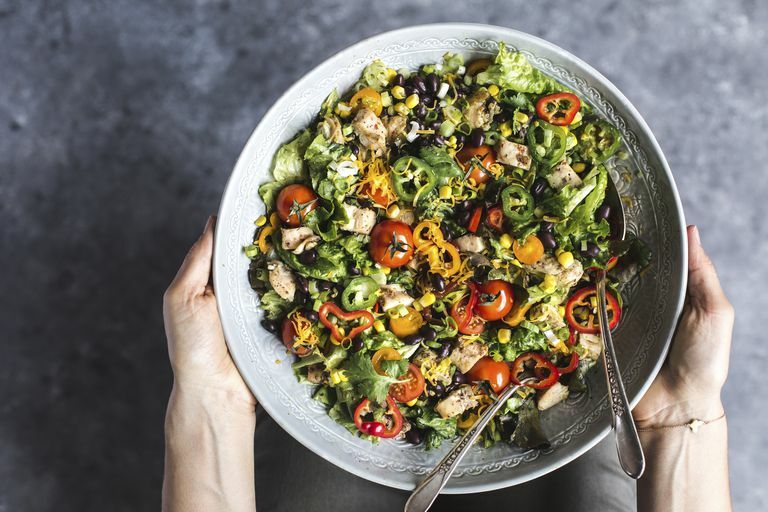 The number one diet our patients attempt is the Atkins diet (a popular low-carb approach), often numerous times, resulting in a fear of carbohydrates. Third: The authors reveal a lack of knowledge as to the root mechanism that causes diabetes. In reality, diabetes is caused by the uptake of fat into muscle and liver cells. This greatly impedes the body's ability to make insulin receptors, and without insulin receptors, sugar cannot get into the cell. The low-carb diet will lower blood sugar, but it will not fix the underlying problem of insulin resistance. Fourth: The authors seem to suggest that the low-carb diet was the favored and only diet for diabetes until recently. Really, any calorie-restricted diet will have benefits with regard to controlling blood sugar. The idea is that low-carb diets worked but the “low fat craze” prematurely, and inappropriately, ended the popularity of the low-carb diet. Low-carb diets have been around since the 1800s. There have been numerous best-selling books through the years touting low-carb dieting as the holy grail. Yet, the diet has repeatedly fallen out of favor, not because of some low-fat conspiracy, but because side effects have kept it from being utilized long term. I have attended the American Society of Bariatric Physicians (now called OMA) annual meeting for years; low-carb diets have been a cornerstone of therapy for this organization. They have continued to utilize this diet, not abandon it as the authors would have you believe. Telling a morbidly obese patient with diabetes to go on yet another low-carb diet is a form of fat shaming and is the completely inappropriate management of this disease. How Can You Best Prevent and Reverse Type 2 Diabetes? Ask yourself this question: Which societies in the world have the most enduring overall health and the lowest diabetes rates? The National Geographic Blue Zones study found several areas in the world with impeccable health and the largest number of centenarians per capita. The diets of these disparate communities share a very common thread—they are all dominated by carbohydrate-rich foods. Asians have historically eaten carbs such as rice and sweet potatoes as a staple. And while diabetes in Asia was once virtually nonexistent, China and other Asian countries are now starting to see rising rates of the disease—not because of the carbs, but because of the meat that is becoming more central in the diet. As the media continues to print oversimplified, often misguided information on low-carb diets, readers react with an intense fear of carbs. This fear leads to a high consumption of meat products. This increased meat consumption is problematic, as it can contribute to hypertension and heart disease while increasing your risk of cancer. I agree with the authors that we could eliminate the need for surgery in some people through diet, but that diet should be very high in fruits, vegetables, legumes, and whole grains. My suggestion to patients dealing with obesity and diabetes is to eat predominately whole foods, plant-based diet and to exercise. They should abandon the crash/fad diets and focus on wholesome plant foods that have kept many societies living healthy and disease-free lives. If obesity or type 2 diabetes is severe, surgery is an extremely effective tool. No diet has anywhere close to the proven efficacy of surgery, and in this modern era, surgery is a very safe option. That being said, the tool should be used to change to a healthier lifestyle, and not as an end in and of itself.